Shortstop was a tough position to pick – Jack Wilson could have easily been slotted in for Rollins. Outfield was almost as tough, too – as Bobby Abreu had a 30-30 season and Juan Pierre had over 220 hits. You could slot either of those guys in for Drew and I wouldn’t argue. Pitcher was also tough after Randy Johnson. Johnson should have matched Roger Clemens for his 6th Cy Young award. He finished 2nd in the vote, behind Clemens, won his 7th award. But Carlos Zambrano, Carl Pavano or Jason Schmidt all had a good case to be in the top 3 pitchers. Scott Rolen also had a really notable year. He was one of the best 4 players in the NL, but Beltre had a slightly better year at third base. Starting pitcher was also tough in the American League. But not for the same reason as in the senior circuit. Pedro felt like he was the best choice among a number of good-not-great candidates. The other positions weren’t too particularly difficult. 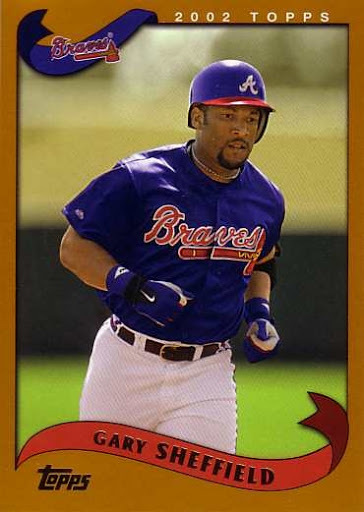 It felt like Gary Sheffield was in the argument to be picked over Manny or Vlad, but I think they are the right decisions. As I mentioned above, Abreu could have been considered over Drew. Drew was better defensively, which is a big reason why I picked him for my “all-star” team (whereas for Silver Sluggers, defense has nothing to do with the award). The decision between Rollins and Jack Wilson could be considered a toss-up. Victor Martinez and Pudge Rodriguez shared the Silver Slugger award at catcher – the only time in the history of the award there has been a tie. Melvin Mora was an interesting choice – he had a really good year, the best of his career. I’m sure the .340 average stuck out to silver slugger voters, and there was probably some A-Rod backlash. Sheffield was a good choice, I thought there were 4 deserving outfielders. The 2004 Reds started off with plenty of promise. Ken Griffey Jr. was healthy for the first half of the season. Sean Casey was hitting well above .300. Adam Dunn was mashing home runs. A young Ryan Freel was stealing bases and giving spark at the top of the lineup. The starting lineup looked pretty solid with a young Aaron Harang and Paul Wilson leading the way. The bullpen was solid behind Danny Graves and Todd Jones. Griffey, Casey, Graves and Barry Larkin made the All-Star game that year. Though the Cardinals had pretty much put the division out of reach, the Reds (47-41) were only 1.5 games out of the Wild Card at the All-Star break. A strong 2nd half could have meant a playoff berth. The biggest moment of the season in St. Louis on Father’s Day. With his dad at the game, Griffey connected for the 500th homer of his career. That was the 19th homer, and unfortunately, he’d hit only 1 more the rest of the year. And the Reds’ fortunes turned for the worse. Griffey had a partial hamstring tear the day before the All-Star break and couldn’t play in the game. The Reds went into a slide at that point, losing 11 of 12 at the end of July. A month later, Griffey came back, but he tore his hamstring completely off the bone in his first game back and was done for the season (this injury, more than any of his others, came the closest to putting his career in doubt). The second half became a complete tailspin. They finished the season with a 76-86 record, 29 games behind the Cardinals and 16 games back of the Astros for the Wild Card. Dunn and Casey were the 2 bright spots of the 2nd half – both finished with some impressive numbers. Casey hit .324 for the year, nearly matching his career bests with 24 homers, 99 RBI and 101 runs scored. Dunn’s season was even more notable. He smashed 46 homers, walked 108 times, knocking in 102 runs and scoring 105. Unfortunately, he had a more dubious distinction. Dunn struck out 195 times, which broke the previous single season record of 189 held by Bobby Bonds. 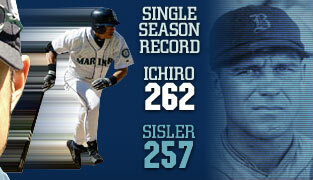 He also hit one of the farthest homers in recent times. On August 10th he hit a ball that left the stadium in center field and rolled into the Ohio River. The river is (officially) part of Kentucky, so this is (somewhat unofficially) the only ball in baseball history to land in a different state. It’s the longest ball in the history of Great American Ballpark, and probably in all of Cincinnati baseball history. You can’t fully appreciate it in the video below due to the camera work, but I figured it’s still worth showing it. 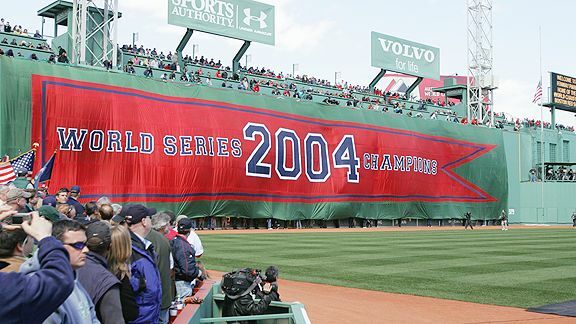 Both the 2004 Championship Series were notable series that went 7 games. The Cardinals came back from 3 games down, beating Roger Clemens in game 7. And, of course, the Red Sox came back from 3 games down to win the last 4, something that had never been done. You also had one of the few situations where you could say the 2 best teams in each league were playing. The Cardinals scored the most and allowed the fewest runs in the NL, which has to be extremely rare in the expansion era. And while the Red Sox were the AL Wild Card, they actually had the largest run differential in the AL by nearly 50 runs. Unfortunately, the World Series didn’t live up to they standard set in the two Championship Series. One way this series did match those 2 – game 1 was a complete slugfest. David Ortiz smashed a 3-run homer off Woody Williams to cap a 4-run first inning, and the race was on. The Cardinals got 2 runs back off of Tim Wakefield in the 2nd and 3rd, but Williams couldn’t get anyone out in the bottom of the 3rd, as the Sox scored 3 more. Wakefield then walked the first 4 batters of the 4th inning; an error and a passed ball got the lead down to 2 runs. Bronson Arroyo relieved Wakefield, and gave up 2 more runs 2 innings later in the 6th. Shockingly, the Cardinals came back from 5 runs down to tie it at 7. 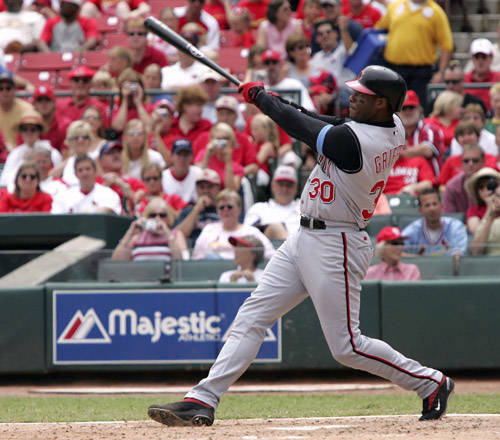 An Ortiz smash put Boston back up by 2 runs an inning later, but then Manny Ramirez committed errors in consecutive plays to allow the Cardinals to tie the game again, this time at 9-9. Mark Bellhorn gave the Red Sox the lead and ended the scoring at 11-9. 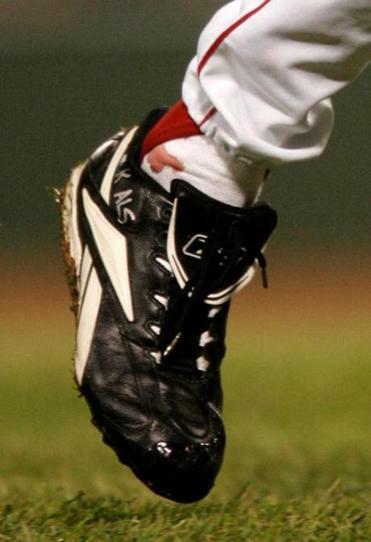 Curt Schilling came out in game 2. He still had a torn tendon in his ankle, and after considerable medical treatment was able to give it a go. He pitched very well, giving up a lone unearned run in 6 innings. A triple by Jason Varitek in the 2nd and a double by Bellhorn in the 4th knocked in 2 runs each, which would be all the Red Sox needed in their 6-2 victory. Amazingly, Boston had made 8 errors in the first 2 games, yet still led the series 2-0. Pedro Martinez was the star of game, throwing 7 shutout innings while allowing only 3 hits. It was a fitting moment for a guy who had been a historically great pitcher for the Red Sox in the late 90’s and early 00’s. In 2004, Pedro was still an excellent pitcher. If he was no longer the dominant pitcher he had been, he did win the game that all but officially ended the 86 year drought of the Red Sox. Game 4 felt like a formality. Johnny Damon led the game off with a homer, and doubles by David Ortiz and Trot Nixon put 2 more runs on the board. That was all Derek Lowe needed – like Pedro he also went 7 innings with no runs. Bronson Arroyo and Alan Embree worked through a tight 8th inning, and Keith Foulke sealed the 9th inning to end 86 years of Boston misery. Half of the 8 teams turned over from the 2003 playoffs to 2004. The Braves, Yankees and Twins took their divisions again, and the Red Sox repeated as Wild Card winners. The Braves had an incredible 2nd half to secure their 13th straight division title. Spurred by a July trade for Carlos Beltran, the Astros beat out the Giants and Cubs for the Wild Card. Atlanta earned 2 seed, but seeding rules meant the Astros couldn’t face off against the 1-seed Cardinals. This wasn’t your older brother’s Braves. While Atlanta still had a strong starting staff, Houston had the more notable duo at the top of their rotation. Roger Clemens was about to win his 7th Cy Young, and he won game 1 over Jaret Wright, 9-3. It looked like Atlanta might lose their 2 home games in Turner Field when Mike Hampton gave up 2 early solo homers. Roy Oswalt was pitching a shutout, but he gave up a run in the 7th and the Houston bullpen blew the lead the next inning. 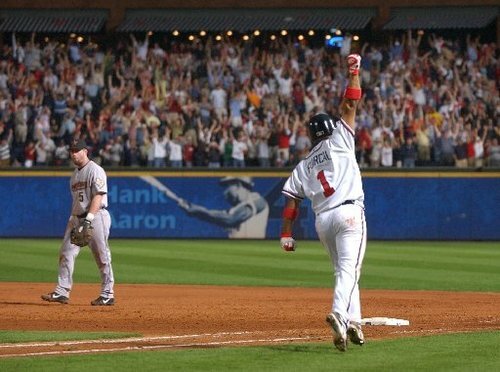 Rafael Furcal evened the series with a walk-off, 2-run homer in the bottom of the 11th. Led by a Beltran home run, the Astros went up big in game 3, and held on, 8-5, to take the series lead. Clemens came back on short rest in game 4, and a 3-run homer by Craig Biggio put Houston up 5-2 early in the game. Clemens was relieved in the 6th, and a 3-run homer by Adam LaRoche got the Braves back in the game. A J.D. Drew single gave the Braves the lead in the top of the 9th, and John Smoltz worked through a shaky 9th to send the series back to Atlanta. But the white-hot Beltran was too much for the Braves, even back in Atlanta. He hit 2 homers and Oswalt pitched effectively in a 12-3 victory that gave the Astros their first playoff series victory. The Cardinals won an incredible 105 games – the best in baseball. They led the National League in runs scored and allowed the fewest runs. They were heavy favorites facing off against the Dodgers, who won 93 games to take the NL West. A first-inning homer by Albert Pujols set the tone for the series, and the Cardinals led off the series with consecutive 8-3 victories. Jose Lima temporarily stopped the bleeding for the Dodgers. In what was pretty much the last hurrah for Lima-time, he threw a 5-hit shutout. But the Dodgers would not be stopping the Cardinals. Pujols started the series off in game 1, and hit a 3-run go-ahead homer to put away game 4 and send the Cardinals to the NLCS. This was a rematch of the first round from 2003. Unfortunately for the Twins, it went exactly the same way as the Twins won game 1 and then saw the Yankees roll off 3 straight. 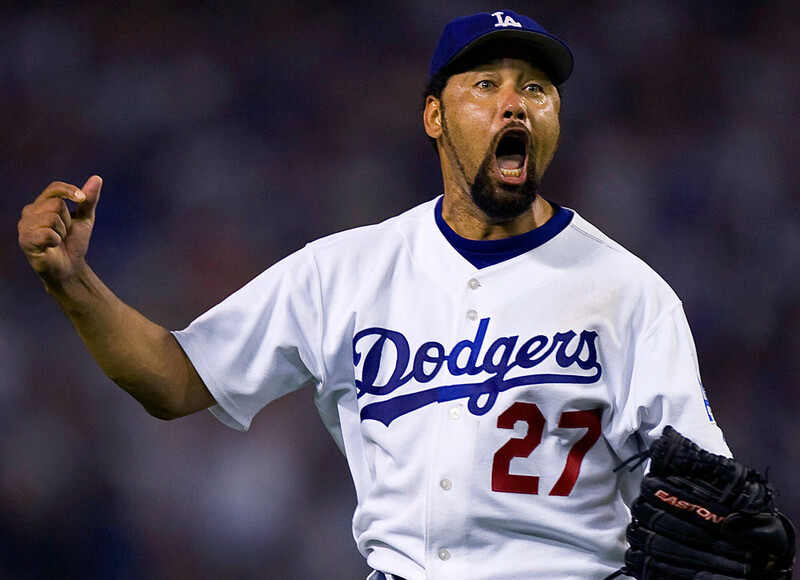 The Twins had 2004’s best pitcher in Cy Young winner Johan Santana, and he was able to anchor a 2-0 victory to open the series. Game 2 was the turning point, as the Twins scored 2 runs in the 8th to send the game to extra innings. They scored a run in the top of the 12th, but closer Joe Nathan was out of gas in his 3rd inning of work. Alex Rodriguez doubled home Miguel Cairo and then Hideki Matsui won the game on a sacrifice fly. The Yankees cruised behind Kevin Brown in game 3. Another extra-inning double by A-Rod ended the series in game 4; this time he did all the work himself, stealing 3rd and coming home on a wild pitch. The Red Sox were again the Wild Card, but they had the best run differential in all of baseball. The Angels were back after missing the playoffs in their title defense in 2003. They had the AL MVP in Vlad Guerrero. It would be a quick series. A 7-run 4th inning allowed Curt Schilling to cruise as the Sox took game 1, 9-3. Former Cy Young winners Pedro Martinez and Bartolo Colon faced off in game 2. The Angels took a 3-1 lead in the 5th, but Jason Varitek responded immediately with a 2-run homer to tie the game. A sacrifice fly by Manny Ramirez gave the Sox all the runs they’d need. Two days later, they closed out the series. The Angels did fight back from a 6-1 deficit, but David Ortiz ended the Halos hopes. Big Papi hit a walk-off 2-run homer in the bottom of the 10th to send the Angels packing. Both Wild Cards had advanced for the 3rd straight year, and both of these series were against division mates. The Cardinals had a game 1 advantage; since they had won their division series in 4 games, they started ace Woody Williams. The Astros, on the other hand, had to pitch Clemens and Oswalt pitched games 4 and 5 to get through the NLDS. They started Brandon Backe, who had pitched half the season in the minors and was a reliever for most of his 2004 time in the big leagues. It didn’t seem to matter either way, as game 1 was a slugfest. Beltran and Pujols traded 2-run homers in the first inning, but a 3-run double by Jim Edmonds highlighted a 6-run 6th inning, and the Cardinals won, 10-7. In game 2, it was the 5th and 8th innings that doomed the Astros. Another Beltran homer helped Houston to a 3-0 lead, but 2-run homers in the 5th by Larry Walker and Scott Rolen that into a 4-3 Cardinals’ lead. Homers in the 8th by Pujols (for the 3rd straight game) and Rolen (his 2nd of the game) broke a 4-4 tie. Houston headed home ailing, down 2 games. The 7-time Cy Young winner was the cure. Clemens gave up early solo homers to Walker and Edmonds, but that was all he allowed in 7 innings. Beltran, Jeff Kent, Lance Berkman all homered to lead Houston to a 5-2 victory. Beltran homered the next game, which gave him a record (recently broken by Daniel Murphy) of 5 straight games in the postseason. His shot was the winning run in a 6-5 game that evened the series. Williams and Backe were matched up again in game 5, with markedly different results from game 1. Williams went 7 innings without giving up a run, while Backe went 8 innings without allowing a score. Jason Isringhausen came in for Williams in the 8th, but couldn’t close the game out. Kent hit a 3-run homer with 1 out in the 9th to put the Astros on the brink of the World Series. They almost made their first World Series in game 6. The Cardinals had a 4-3 lead in the 9th, but Jeff Bagwell singled home Morgan Ensberg to send the game into extra innings. It took 3 more innings, but St. Louis stayed alive when Edmonds hit a walk-off 2-run shot. Clemens was back on the hill in game 7, but he ran out of steam in the 7th inning. 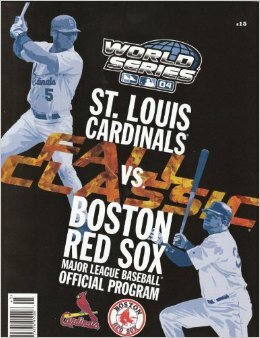 Pujols hit a double to tie the game at 2, and Scott Rolen hit a 2-run homer for what would be the series clinching runs. Pujols was the MVP, going 14-28 with 4 homers, 2 doubles and 9 RBI. But it was Edmonds homer in game 6 that proved to be the play of the series. Unfortunately, it’s a series that has been somewhat forgotten over time. The reason the 2004 NLCS was forgotten was the historic nature of the 2004 American League counterpart. The AL East champion Yankees were again facing off against the Wild Card Red Sox. They were fresh off the infamous game 7 from 2003, when Grady Little had left Pedro Martinez in too long and Aaron Boone had homered to send the Sox into an offseason of question marks. They fired Little, hired Terry Francona, traded for Curt Schilling, and then agreed to a trade for A-Rod only to see him land with the Yankees after their trade was blocked by the MLBPA. The Yankees started the season on fire, and in midseason Theo Epstein made a number of defensive-minded trades. It seemed like that would all be for nothing. Schilling was shelled for 6 runs in 3 innings of game 1. Pedro was good but made a 6th inning mistake to John Olerud that was all the Yankees in game 2. Back at Fenway Park, the Yankees exploded for 19 runs in game 3, and the series appeared to be over. No team in baseball had ever come back from a 3-game deficit. It had been 86 years since Boston had celebrated a World Series win, and at that point it looked like it would be at least 87. But the Red Sox were self-proclaimed idiots and didn’t focus on that part of history. Kevin Millar was recorded on camera before game 4 saying “don’t let us win today”. Indeed, the Yankees actually had a good matchup in game 4, with Orlando Hernandez going against Derek Lowe, who hadn’t had a good 2004 season. But Pedro and Schilling loomed on the horizon. The Yankees jumped out in front behind an A-Rod homer with Jeter on base. El Duque got into a little trouble in the 5th, and a 2-run single by Ortiz gave Boston a lead. Hideki Matsui tripled in the 6th, and 3 infield singles later the Yankees had a 4-3 lead. They held onto that into the 8th, bringing Mariano Rivera in to send the Yankees to another World Series. Mo allowed just a single in the 8th, but walked Millar to lead off the 9th. Dave Roberts, one of those midseason acquisitions, pinch ran and stole second base on Rivera’s first pitch. Bill Mueller singled to bring Roberts around, and the Red Sox had gotten past New York’s formidable closer. Despite some opportunities, the game remained tied until the bottom of the 12th. 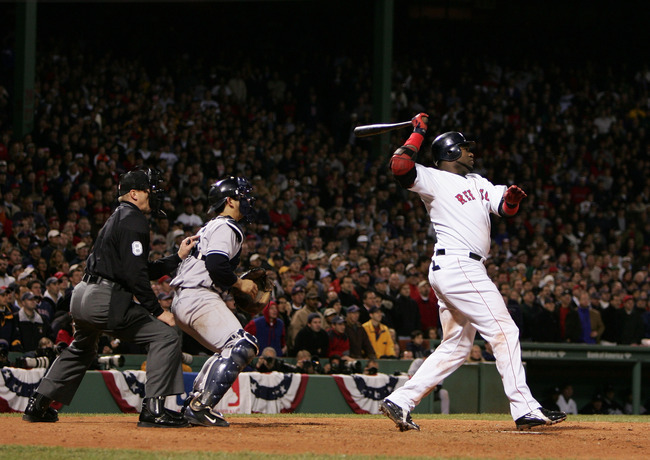 After Ramirez singled, Ortiz hit a walk-off homer, his 2nd of the postseason, to win the game and keep the Sox alive. Ortiz would find similar magic in game 5. Pedro pitched well until the 6th, when he gave up a 3-run, base-clearing double to Jeter. The Yankees led 4-2, but in the 8th Ortiz homered and a Millar walk / Roberts pinch-run again led to Boston tying the game. The bullpens did their job for the next 5+ innings, until the bottom of the 14th. Ramirez and Johnny Damon walked, and Ortiz singled to send Fenway celebrating after a record 5 hour 49 minute game. Back in the Bronx, Schilling was scheduled to start game 6. But even he was unsure if he could pitch. He had a torn tendon in his ankle, which was held together by an unprecedented procedure allowing him to push-off in his pitching motion. A controversial Mark Bellhorn homer gave him an early 4-run lead, and Bronson Arroyo and Keith Foulke came in for some shaky relief that included an interference call on A-Rod when he intentionally knocked a ball out of Arroyo’s glove in the 8th. While the Roberts steal came to symbolize the Red Sox comeback, that play showed the desperation of the Yankee players. This game belonged to Schilling, however. He pitched 7 strong innings, allowing just 1 run in what would be known as the bloody sock game. The Yankees didn’t really have a chance once it got to game 7. An ineffective Kevin Brown started for the Yankees, giving up 2 quick runs to another Ortiz homer. In the 2nd inning, Johnny Damon hit a grand slam, and the route was on. The Red Sox ended up winning the game, 10-3, completing the greatest comeback in American sports history. They were still four wins away from ending the curse of the Bambino, however. There were some big offseason move before the 2004 season. The AL East continued an arms race. In November, the Diamondbacks sent pitcher Curt Schilling to Boston in an effort to go younger. Boston also went hard after Alex Rodriguez, offering to send Nomar Garciaparra, Manny Ramirez and Jon Lester (then a prospect) in a 3-way deal that would net them A-Rod, Magglio Ordonez and Brandon McCarthy. 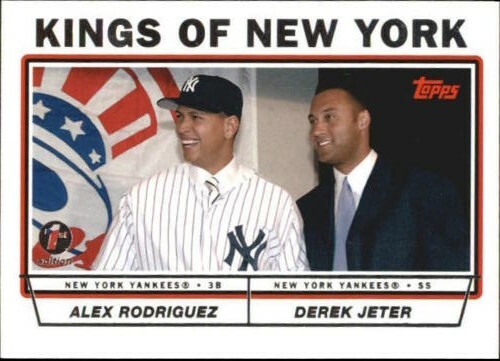 It looked like A-Rod and Jeter would increase a positional rivalry from within the biggest organizational rivalry in baseball. They actually came to terms on the trade, with Rodriguez willing to take a significant paycut. But the MLBPA nixed the deal and the trade was dead. Naturally, in stepped the Yankees. ALCS hero Aaron Boone blew out his knee in January, and the Yankees were in immediate need of a third baseman. Rodriguez was willing to move over to third base, and by mid-February, the Rangers had traded him to the Bronx for Alfonso Soriano. Instead of a rivalry, A-Rod and Jeter were now playing on the same side of the same infield. It would certainly make for an interesting AL East race, and, ultimately, a really interesting ALCS. In slightly less publicized news, the Yankees also added Gary Sheffield to the mix to create a roster of some of the era’s best players. The other big free agency news involved the NL Central. After 9 seasons and 149 wins, Andy Pettitte left the Yankees to be closer to where he grew up. Soon after that, his friend Roger Clemens was talked out of retirement, joining him in Houston when he signed a one-year deal in January. This meant the 2 best pitchers of our time moved to pitch against my Reds – as Greg Maddux also joined the division. He left the Braves after 11 years to sign back with his original team, the Chicago Cubs. Pujols and Bonds were the best 2 players in baseball in 2003, and Albert probably could have received better consideration for MVP than he did. 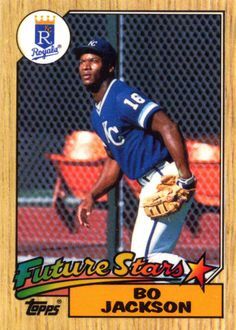 Sheffield was an easy pick as the 3rd outfielder. All of the offensive positions were easy to pick. Javy Lopez had the most notable season – he had one of the best offensive seasons ever by a catcher. This was probably the easiest team I’ve had to pick out of the 24 seasons I’ve done so far. The only spot that was tough to fill was the 3rd pitching spot. I went with Livan Hernandez and his league-leading inning total, but I also considered Kevin Brown and Kerry Wood. How does a guy win the MVP on a last place team? Have a season like A Rod did with little to no competition. Hank Blalock had the 2nd highest WAR according to baseball-reference. Since those guys were teammates, it shows you how bad the rest of the Rangers were. Blalock in 2003 was an interesting case study of sabermetrics. As I mentioned, he was 2nd highest WAR of AL hitters. But if I look at Bill James’s Win Shares, he is 39th. 39th is good, but it wouldn’t make this fantasy team of mine. If I had to pick one, I like Win Shares better, but I also like to just look at their standard stats. I know, old school. Anyway, I went with Bill Mueller over Blalock and Eric Chavez. All 3 have a decent case. The top 3 pitchers seemed pretty clear to me, but I could see an argument for Esteban Loaiza, who was the 4th best pitcher in the AL if you wouldn’t put him ahead of Pedro or Hudson. Rivera edges out Keith Foulke, who did lead the league with 3 saves and pitched about 10 more games. But Mo was better in the 70 innings he did pitch. Finally, DH is worth discussing. I went with Thomas over Jason Giambi. They had very comparable seasons, but Thomas was the DH the whole time, whereas Giambi split his time about 50/50. So I kind of gave the nod to Thomas in that situation. Again, they were very comparable. Thomas had about 10 more doubles (and 1 more homer), so that made the difference for me. Mike Hampton won his 5th and final Silver Slugger in a row. Jose Vidro somehow got the nod over Marcus Giles despite being worse in almost every statistical category. Mike Lowell was definitely a good option at 3rd base, he and Rolen were about even. I picked Rolen because he known to be an exceptional defensive third baseman. This was the 2nd year in a row I didn’t pick Anderson when he had won a Silver Slugger. He was deserving for sure; his traditional statistics were a little more showy than Carlos Beltran. But when you consider defense and base running, Beltran was closer to being the best outfielder in the AL than the 4th best. Not sure why they picked Edgar Martinez. 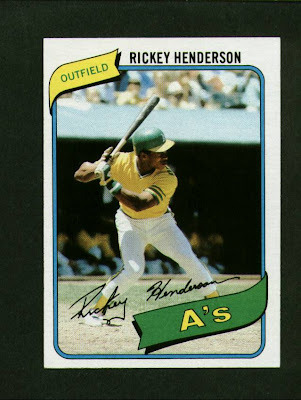 His numbers were solid but clearly inferior to Frank Thomas.